Have you seen this Twitter explosion #unqualifiedfortech? Allow me to share my story. It starts a long time ago, back in France, when I was a high-school student in love with art. To please my parents, I studied engineering and started a career working on ship construction standards. It was quite interesting, but definitely not where my heart was. So I left, to study art. A day I was wandering in Paris, I stumbled upon a gorgeous wrought iron door. Behind it was a gallery holding a Persian illumination exhibition. I fell in love. 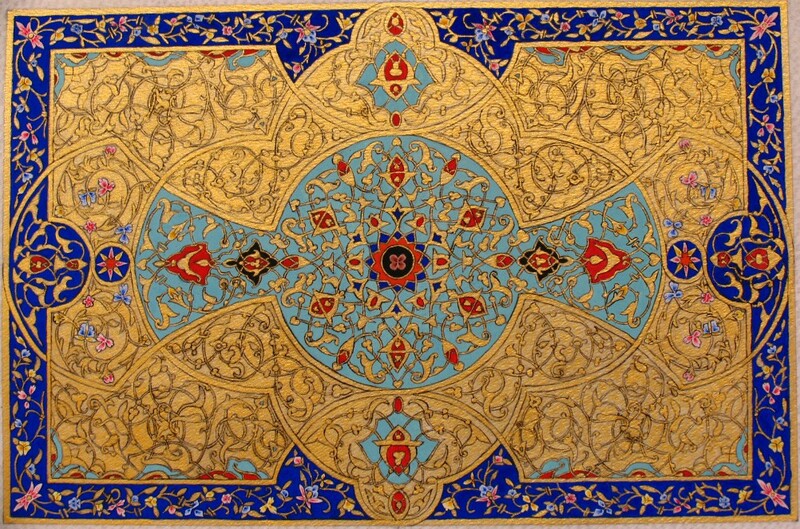 Found the Iranian calligraphy/illumination master behind it and became his student. That’s how I got to paint the piece you see at the top of this blog post. As I refined my skills, I was able to get commissions to try to make a living out of it. Then, life became a bit of a maelstrom. In three years, I realized commissions were getting very repetitive, and I was becoming disillusioned. I had 2 children, I moved to the US, and found myself unable to sell art pieces on my own because I could not put a number on my heart and soul. I needed to reinvent myself. I took a Myers-Briggs test that suggested that I should become a Software Developer. I found it completely stupid, then thought about it, and eventually decided to give it a shot. I enrolled in the first evening CS class I found. I was hooked. I took more classes, there, online and thought of how I could make it work. At this point I heard about Holberton. The first thing that caught my attention was the 2-year format. After “wasting” 5 years for an engineering degree I found too disconnected from the job market , Holberton curriculum is the right balance between that and the classes I had taken so far that stayed too superficial to my liking. The lack of formal lectures was also very appealing, everything is hands-on. And very importantly, it is built around a community of mentors who are professionals working in the Tech industry. I applied, got accepted, started in October 2016 and expect to graduate in 2018. I was reluctant on my own to try C, or Bash — I was GUI all the way — and these programming languages seemed reserved for the real geeks. . But now I did not have a choice, and I ended up loving them. Writing code for me is being creative with a lot of constraints, and that was what I loved with illuminations. I still paint in my spare time. But during the day, I am practicing my love for an art I recently discovered: coding. And now, I do it for a living, at Tesla.